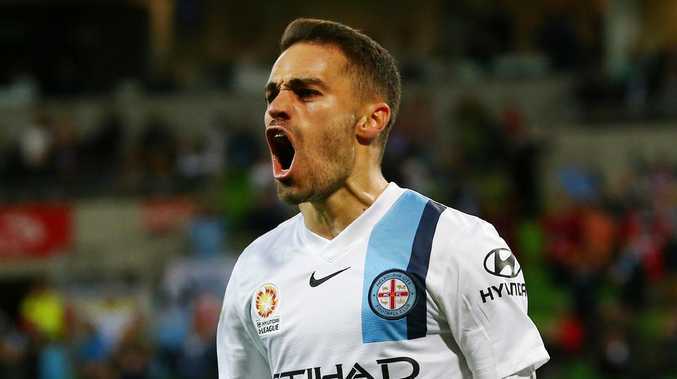 Sydney FC has signed City star Anthony Caceres. 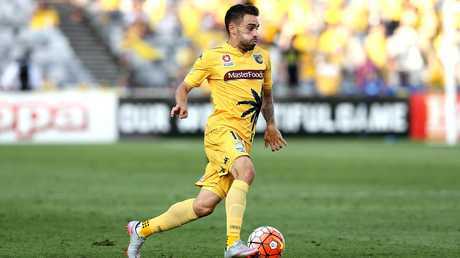 SYDNEY FC have made their first move of the January transfer window by recruiting former Manchester City signing Anthony Caceres for the rest of the A-League season. He had made five appearances for Warren Joyce's side this campaign - four of them off the bench - but his loan ended on New Year's Day and the Sky Blues snapped him up. Steve Corica has made their first move of the January transfer window. "With the AFC Champions League coming up and a lot of games for us during January, Anthony's ability to play as a number 10 or a number six will give us extra depth to our squad." For Caceres, who also made seven appearances for UAE club Al-Wasl in between stints at City, it is also a chance to return to his home town. Caceres made 63 appearances for the Mariners before being signed by City. "It was a pretty easy decision to make," he said. "Sydney FC are the biggest club in the A-League and to get an opportunity to come here, back to my home city, and be a part of a talented and successful team is one I couldn't pass up.